Who here HATES unloading the dishwasher? Don't get me wrong, I am beyond grateful for my dishwasher, but it is just not my favorite thing in the whole world to unload it. My family has the tendency to just through things in, and stuff it full. I am always trying to find ways to save time, so that I can do more of the things I want to do... like be with my kids, craft, go for a run or take a yoga class. So how about shaving a few minutes off dishwasher unloading and add those extra saved minutes to something you love to do? 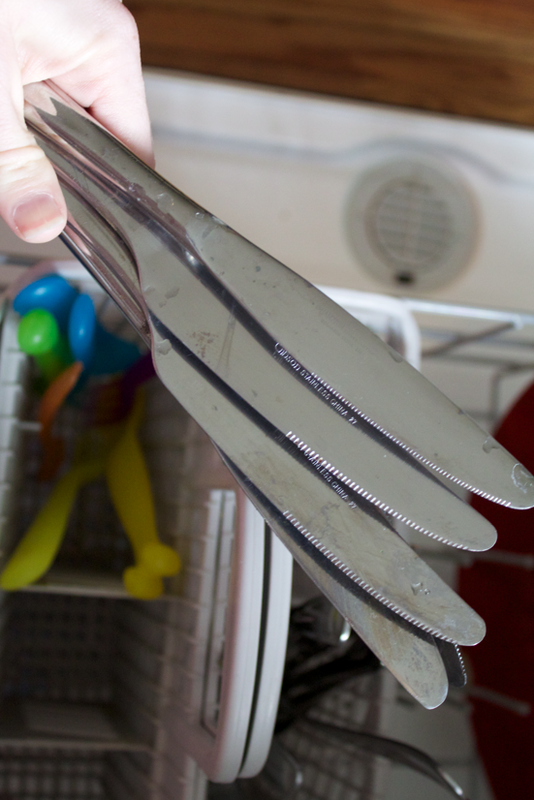 But I had a serious "AH HA" moment the other day when loading my silverware in the dishwasher. Instead of just throwing it in, put it in it's rightful place. As you can see above, I have dedicated a specific place for each piece. Forks have their own home etc. I love this so much. 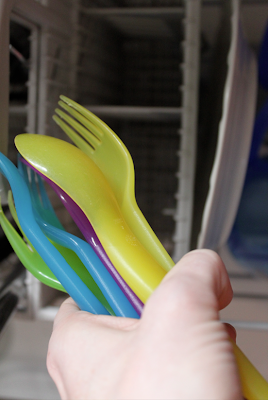 Instead of sorting my silverware when it is clean, I just grab it and drop it into the silverware tray. My kids and husband help by keeping each utensil in it's rightful place too. This makes my job so much easier. 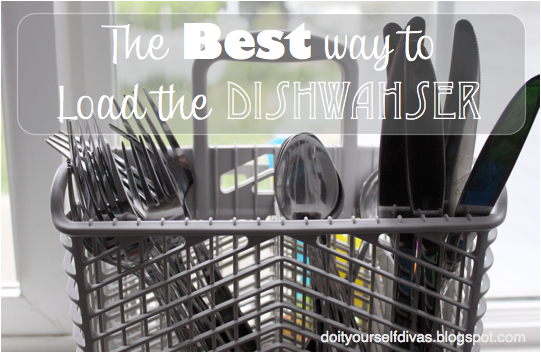 I do the same for my dishes. 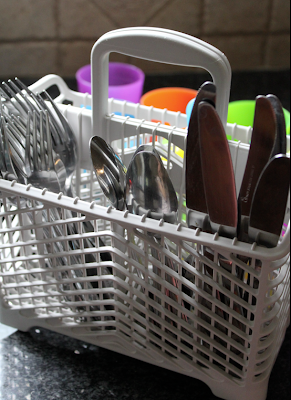 All like dishes stay as a group. Easy as that! Yay, for simple things that save time! I think I will go for a run now!